Rick Roberts | TV, eh? Web series Ghost BFF puts the focus on mental health via two friends. And one of them is dead. It’s important to talk about mental health. And while Bell does a great job stressing that one day a year in January, it’s something that should be done the other 364 days too. Launching its first season of 11 episodes, Ghost BFF is available for streaming on Elizabeth Banks’ WhoHaHa’s website now. The brainchild of creator Vanessa Matsui (Lost Girl, Seed), Ghost BFF explores suicide and mental health through the eyes of Amy (Matsui). It’s been three years since Amy’s best friend, Tara (Tiio Horn, Letterkenny) died of a drug overdose. Amy has given up painting, is engaged to Mitchell (Dan Beirne, Space Riders: Division Earth) and battles with anxiety and a bad tummy. Suddenly, Tara appears—her ghost BFF, get it?—and throws Amy’s life into total disarray. For Matsui, the idea for Ghost BFF came from a deeply personal place. “It’s loosely inspired by a time when one of my best friends, following a period of depression, almost died by suicide,” Matsui says. “It was a very dark time. And, also, it was coupled with wanting to create my own work and being inspired by incredible female creators.” Ghost BFF is a project three years in the making, first as a short play Matsui performed in a friend’s basement before the possibility of being a short film was explored; ultimately Matsui pitched Ghost BFF as a web series to Katie Nolan (Hot Mom), who partnered to co-write and co-produce it. The Centre for Mindfulness Studies features in several episodes as Amy strives to explore her own mental health, where she’s going in life and what her relationship with Tara was and still is. There are, of course, characters in Ghost BFF who advise Amy to “snap out” of what she’s going through mentally and stop taking her medication because they think she’s “fine.” It’s frustrating to know there are still people with that attitude towards mental health, and just drives home the need to educate and discuss. Yes, Ghost BFF concerns a serious topic, but it’s not all doom and gloom. 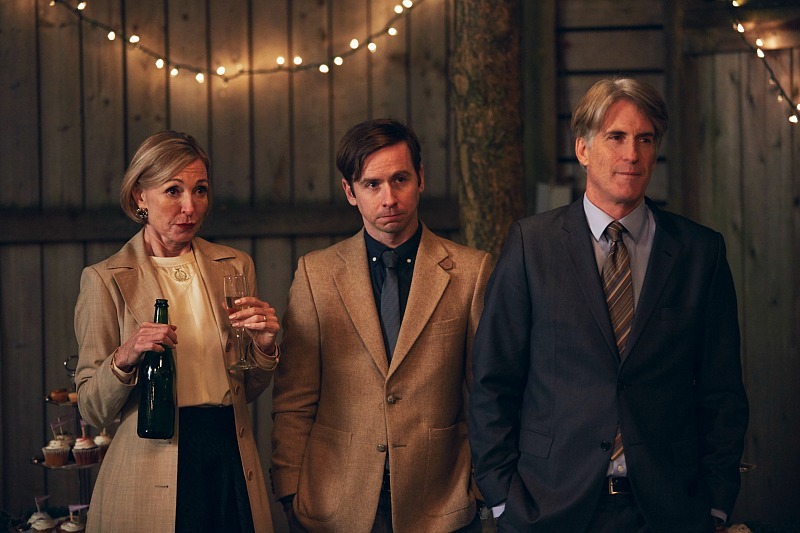 There are plenty of laughs thanks to Matusi’s physical humour as Amy, Horn’s foul-mouthed Tara and the gloriously shallow Mitchell, and truly heartfelt moments too. Amy and Tara’s screaming match in a later instalment opens the door to honesty and regret. Ghost BFF is available for streaming on WhoHaHa’s website. Images courtesy of Babe Nation Creations. This Life‘s tagline on transit ads and billboards states “Every family has drama.” But in the case of CBC’s new Monday night drama, “Every family has secrets” would be just as apt. “My cancer’s back.” Those three words from Natalie on Monday brought a screeching halt to the bickering between Emma and Romy. Those words also send This Life into another direction; where do we go from here? If Natalie listens to Dee’s cellular reprogrammer, Sybil, who challenged her to stop trying to solve the kids’ problems and worry about herself, that would include embracing the days Natalie has left and being happy. This Life may, at its core, be about a woman dealing with cancer, but everyone else has issues of their own and many of the aforementioned secrets came to light on Monday. Oliver, after a drug relapse, admitted to Matthew that Tom had passed away of an aneurism. Ariel told Caleb she was pregnant, and now the 19-year-olds need to weigh their parenting options. Emma wanted to go on the pill and turned to Maggie, of course, for help in that department. The only secret I can still see as being unresolved is why Matthew has a second cell phone and who he’s calling on it. Meanwhile, the most intriguing character five episodes in is Romy. What I first dismissed as a rambunctious kid rebelling against the world because she’s smarter beyond her years has really drawn me in lately. Her questioning of faith and the levels of Hell is interesting (I did a lot of that when I was her age. ), and the back and forth between she and the psychologist is fascinating to watch. I’m looking forward to seeing how she reacts to Natalie’s announcement in the coming weeks. This Life airs Mondays at 9 p.m. on CBC.